PureVent 2.0 is a radical new approach to cleaning the gas vented from engine crankcases by using centrifugal separation technology to remove oil mist and other particles, and help protect the environment. An estimated 3500 m3 of lube oil ends in the world's oceans every year by allowing crankcase gas containing oil mist from marine diesel engines to pass into the atmosphere un-cleaned. This oil mist can drift long distances in aerosol form before the droplets finally settle on the sea – or on land, with the pollution this entails. Although there are stringent regulations regarding oil discharges in bilge water, there are – as yet – no limitations on oil discharges into the sea via crankcase ventilation. Exhaust emissions from such engines are normally the prime concern, but crankcase gas still represents important environmental and health concerns. Crankcase gas is much less diluted and can cause high oil concentrations in limited areas. The oil mist can also soil a ship's engine spaces, decks and areas near the ventilation outlet. This is highly undesirable on board cruise ships, for example. PureVent 2.0 represents a radical new approach to the cleaning of crankcase gas in high-capacity installations. 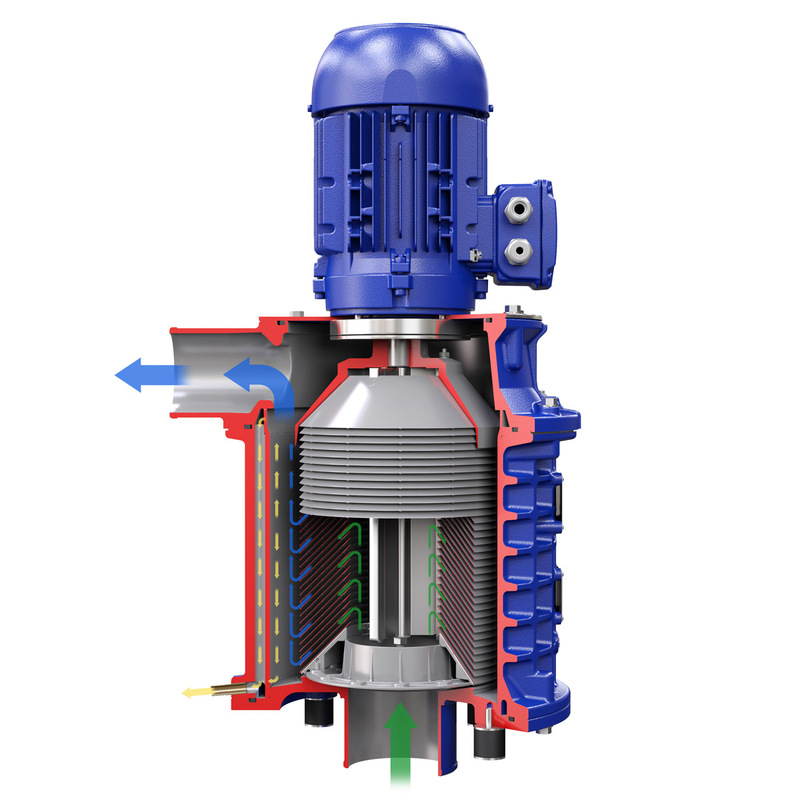 Developed specifically for use with marine diesel engines and power plant generators, PureVent technology employs high-speed centrifugal separation to separate oil mist and other particles from the crankcase gas produced by these engines. The separated oil can even be re-circulated for use as lubricant. Cleaning efficiency is as high as 99.99% for a capacity of 40 m3/hour and 98.5% at 150 m3/hour. These performance values cannot be matched by any previous technology – traditional cyclones, air traps and filters have never been able to provide satisfactory results. PureVent uses high-speed centrifugation to remove oil mist, soot and any unburned fuel from crankcase gas. 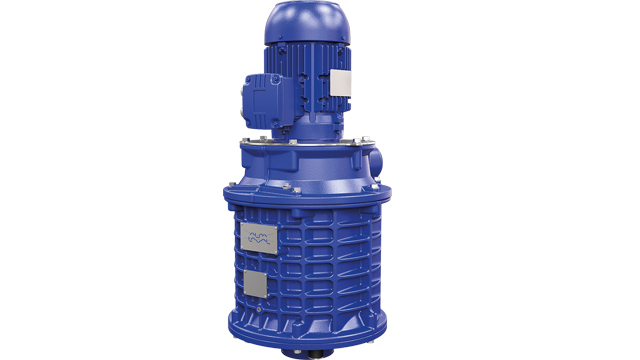 The principle is similar to that used in the Alfa Laval Alfdex unit, installed on truck and bus diesel engines since 2002. The PureVent separator unit is a compact installation that consists of a stack of 185 rotating discs made from a special composite lightweight polymer, enclosed in an aluminium housing. This disc stack is driven by an electric motor. Uncleaned crankcase gas enters at the bottom of the separator, and then passes into the stack of rotating discs. Centrifugal force presses any oil or soot out between the discs, making it collect on the inside of the disc stack housing. This leaves air that is virtually oil-free, and can be responsibly released into the atmosphere. To achieve additional environmental benefits, the collected oil can be recirculated through the separator and used again in the engine lubrication system. If preferred, however, it can be drained off for use in shipboard incinerators or stored for subsequent disposal. In a diesel installation or a standard gas-engine installation, the cleaned air produced by the PureVent unit is normally released directly into the atmosphere. However, in a gas engine it is also possible to route this output into the engine’s turbocharger. Such a closed system enhances and safeguards engine performance, by eliminating the risk of turbocharger fouling or oil accumulation in the intercooler. Most importantly, a closed crankcase ventilation system eliminates all crankcase gas emissions.